My hand is not a very good thermometer! Every time I am concerned a hoof (or hooves) is/are warm, I wonder if my hand is telling me the truth. 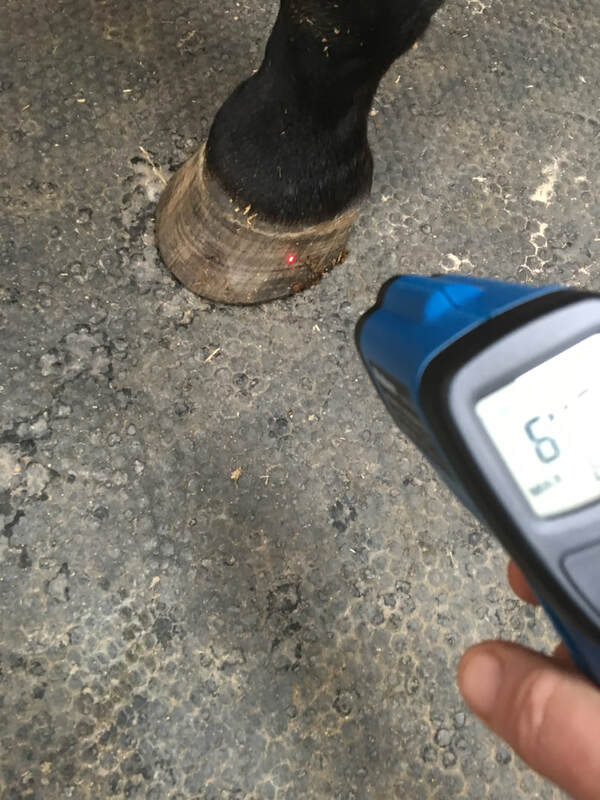 About four years ago, I read an article on the internet (unfortunately, I do not recall the reference) that discussed using an infrared thermometer for measuring hoof temperature. I decided to give it a try. 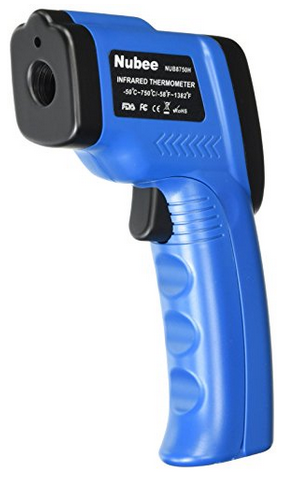 There are many infrared thermometers available via Amazon.com. Since my barn colors are blue and white (and sometimes red, white and blue), I chose a blue one. It is an Amazon Prime product with 3.7 out of 5 stars (108 reviewers). 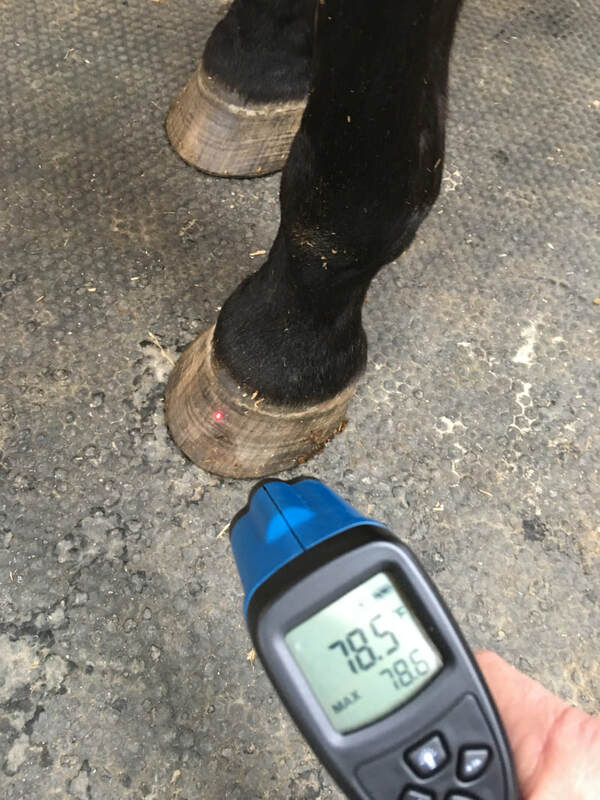 Whenever I have concern about a horse that may involve hoof problems, I use the thermometer to evaluate hoof temperature. In the photos below, Ollie was lame. With just a point on any spot on his hoof wall (take the mud off first! ), I determined temperatures. Ollie's normal temperatures are in the low 60s. This day all four feet were in the mid to upper 70s. Ollie had acute laminitis in all four feet (fortunately, treatment resolved the laminitis without any damage). I have been using this thermometer for about four years. 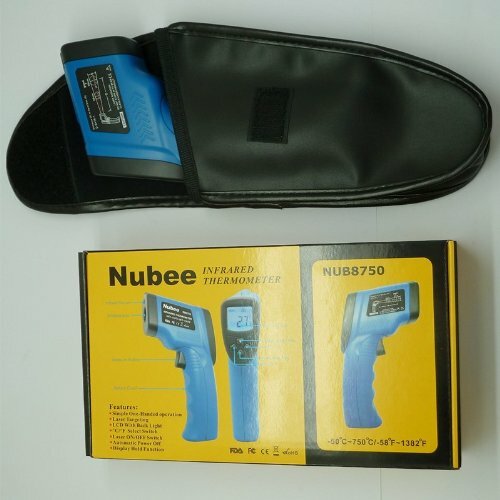 It has been helpful in establishing baseline temperatures, determining elevate hoof temperatures, and monitoring resolution of hoof problems. A few years ago I gifted one to my trainer. Enjoy!